This little volume has been issued in response to a desire expressed by many that the articles should not remain “buried in the files” of a newspaper. Hence, the subject matter has undergone revision, and with additions, and many illustrations, it makes its appearance in book form. In the work of love in which he has been engaged it has been the author's desire to place on permanent record information collected during many years, so as to place this matter in the hands of those who care to interest themselves in these “collections and recollections of a Peakland village”, and it is to the kind encouragement and assistance of the proprietors of the “Derbyshire Courier” that this has been made possible. It has, of course, been necessary to consult many publications in order to procure reliable information, and to these the author has laid himself under tribute, especially the journals of the Derbyshire Archaeological Society. And there are others to whom he desires to tender his sincere thanks. To W.H.G. Bagshawe, Esq., J.P., D.L., of Ford Hall, he is indebted for a great deal of valuable information relating to the Apostle of the Peak and early Nonccnformity; to Edward G. Bagshawe, Esq., solicitor, Sheffield, for the loan of M.S. of his late father, Benjamin Bagshawe; to Sydney Taylor, Esq., B.A., of Buxton; to N.J. Hughes-Hallett. Esq., Clerk of the Peace, for his courtesy in allowing the inspection of county records; to the Vicars of Hope and Bradwell, and to the authorities of the Wesleyan and Primitive Methodist Chapels, for their kindness in placing their registers at his disposals to the Rev. R.S. Redfern, for information relating to the old chapel; and to Mr. Walter Morton, for the loan of the precious letters of his distinguished ancestor. There are many others the author desires to thank for assistance rendered, including those who have so kindly granted him the loan of photographs, and in this connection he tenders his warmest thanks to Chas. 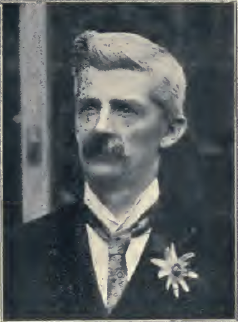 E. Bradshaw Bowles, Esq., J.P., lord of the manor of Abney, and editor of the Derbyshire Archaeological Journal, for the loan of valuable plates. The old houses, church, chapels, etc., are from the camera of Mr. H.V. Tanfield. But especially does he desire gratefully to acknowledge the kindness and encouragement received from the noblemen, ladies, and gentlemen, whose names are in the List of Subscribers. To those who may say that the author has overstepped the bounds of the village, it may be said that to toe a strict topographical line in these things is difficult, and he has related incidents in the surrounding villages that will cause a wider interest to be taken in the book. With these remarks he craves the indulgence of the public for the imperfections of these “collections and recollections in a Peakland village”. The old-world Peakland village of Bradwell has a history, and a most interesting history too. Its steep winding streets - if streets they can be called - and all sorts of queer little out of the way places running in and out in all directions, break neck, oblique, skew-tilted, beginning everywhere, leading nowhere, make the stranger feel that he is living in mediaeval times. Occupied by the Romans, who left their traces everywhere, recognised as one of the boundaries of the Forest of the Peak this romantic spot was never troubled with a surveyor. Every man was his own architect. He built what he liked where he liked, and as he liked, with the result that in the twentieth century there remains one of the most comical looking, beautiful, and picturesque old towns even in picturesque Peakland. But its very name has been deplorably corrupted. The statement made in the middle of the last century that its name was derived from “a well on the verge of the village” is erroneous. It is one of those place-names which indicates the occupation and military organization of its people - Brad, from broad or spacious, and Wall, indicating a site at or near a Roman fortification. The original name was, therefore, Broadwall, or Bradwall, for a portion of the Roman fortification still exists, and upon a portion of the wall of the ancient Forest of the Peak the town is built. Its very earliest settlers, too, who took their name from the place itself, retained its original spelling of Bradwall in the Hope Church registers right down to the year 1843, and, at least, one of these oldest of local families, now resident in Sheffield, very properly retains its name, Bradwall. Further, the death comparatively recently, of a resident of Bradwell, inscribed on the family gravestone, describes her as of Bradwall.